Make your own tiny house floor plans, just download our Print & Cut Worksheet, and then cut-out the tiny house parts and then lay them out on the tiny house size of your choice. For tiny house floor plan ideas check out the book Tiny House Floor Plans. You can buy a printed copy on Amazon or an ebook version right here. 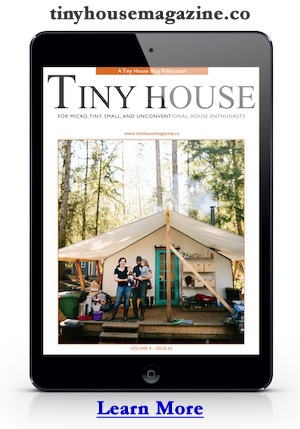 Folks that subscribe by email to Tiny House Design get a 20% discount code for all our ebooks and downloadable tiny house plans. If you’re an email subscriber just check your inbox for any of our emails – they all contain the discount code. This entry was posted in Announcement and tagged cut, floor plans, print, tiny house, worksheet. Thank you so much for this tool!! I’m kind of old school and prefer to move things around on paper when trying out layouts. I wasn’t looking forward to learning software in order to be able to play! Oh I love old school myself, so I was leery of picking up GoogleSketchup, and okay, it took a bit of a learning curve to figure out how to make the downloadable components for furniture, the base trailer, etc, work, (and I’ve found that for stud walls, roofing, and joists, I’m best off just engineering them myself), but honestly? I’m glad I picked it up. It makes altering not just the layout/visualizing the placement of things – soooooooo much easier. I only watched two or three How To videos from Google, and was plugging away in no time. I call it “My Legoes for grownups” and spend hours fiddlin’ around. It’s very cathartic. So what’s the scale? Is there a way to vary that? Select a specific size then print it off? Thanks! Could be a very helpful idea tool. Make it more interesting and print the insides on a 3D printer. This is very cool — thank you for initiating this! OMG thank you!!!! This is exactly what I needed!!! OMG thank you! This is exactly what I have been looking for! I’ve been using a shoebox, not exactly to scale but it does give me a better idea. I’ve got a big box which I’m now going to cut up and put a grid underlay on the floor and walls to get an idea of the differences between a 20′ and 40′ container. Its clear that a good footing keeps the damp out as does a roof of sorts or canopy to keep the sun off of the roof and prevailing wind side. We are looking at the locations to see if an earth bank and or green roof will work. FANTASTIC!!! This is beyond helpful. I cannot thank you enough for simplifying this design process!! Sorry, I’ve not made one with different sizes. I should do that. In the mean time you could approximate since floor plans are typically close approximations. this printable leads to a 404 message. It seems the PDF is 404’ing and can’t be found. Is this still available somewhere? Sorry about that. Just fixed the links. Thanks! Estas são as cores bases como a tábua universal.